October is a special month for The Palmetto Peaches as breast cancer has touched both of our families. The first year of the blog we even turned our logo pink. 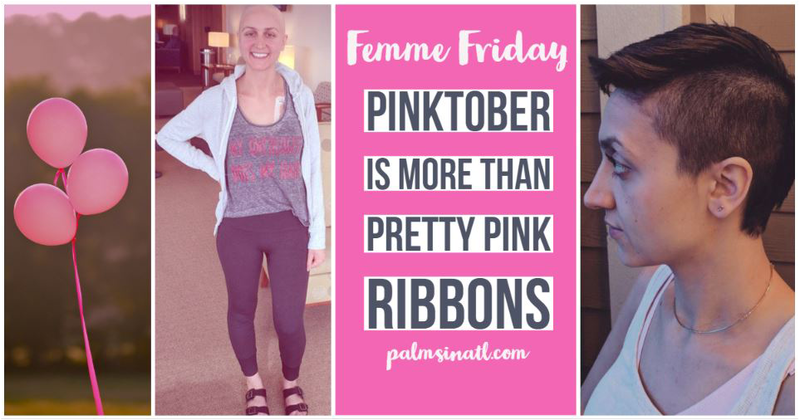 But I’ve been reminded that October or “Pinktober” is more than pretty pink ribbons. In the past few years I’ve read numerous social media posts in disbelief and shock as high school classmates and college friends shared their diagnoses – all young women with such amazing stories. 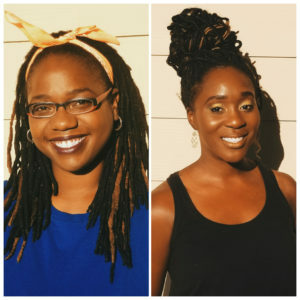 I asked one of those amazing women for permission to share her story with our readers and she graciously allowed me to do so. Laila is basically a badass. She received her PhD from Duke in Biomedical Engineering and then began working as a researcher at a biotech company working on growing lungs for people with chronic lung diseases. In January 2018, Laila was diagnosed with breast cancer. Now she’s using her background as a scientist and former cancer researcher and her current journey to promote awareness among young women and help newly-diagnosed people maneuver the world of cancer. See, like a said. A badass. I’m keeping my intro short because honestly I think her words are more powerful then anything I could write. So here are some excerpts of her story from her own words. The new year always makes me excited. I usually come crashing hectically into the end of a year so I love the chance to refresh and revamp. This year, 2018, I was even more optimistic. After a vacation-less 2017, I was looking forward to a much-needed trip to Spain. My divorce was finalized in October and was coming out of it really ready to move forward. I even did one of those assessments to find a word for the year and this year was going to be all about balance. I finished grad school in 2016 and got my dream job, but never really took the time to find that work-life balance that is non-existent for PhD students. Finally, I was going to get to have the fun part of your 20’s where you make money, don’t have kids yet, and get to spend your weekends as you please. The other pretty cool thing about the new year is that my birthday is January 3rd. It was a good one this year. My boyfriend, Joe, treated me to the 8-course tasting dinner at my favorite sushi restaurant. The news had been calling for snow all day and I was anxiously hoping I’d get a snow day for my birthday. Everything in North Carolina shuts down when it snows, so work closes and we get to stay home. Midway through dinner, we looked outside and it had started snowing! When we got home, we took our puppies to the dog park and ran around laughing and playing like children. I could hardly listen to what he was saying. I just wanted to get the words out of my mouth, but couldn’t. Finally, between bouts of my dad’s joyful laughter and my exasperated short quick breaths I said, “They found a mass.” I could feel the shock of the news echo through the phone as they processed it, wrecking the joy they were experiencing moments before. The playful lightheartedness in their voices that had been so clear was replaced with vacuous, empty, heavy silence. I was shaking more than before, inconsolable. I cried all day. Luckily, while we were processing the news, my gynecologist got me in for an ultrasound the next morning because of snow day cancellations. I couldn’t have waited any longer. I knew the genetics: I’ve always been worried about breast cancer. I’m a cancer researcher. I did an internship at the #1 cancer center in the world. I shadowed a genetic counselor there and learned all about the BRCA mutation. After that summer I was inspired to have my family tested since my aunt had breast cancer very young. Every year I talked to my gynecologist about it but nothing ever came of it. I tried to be proactive, but I wasn’t proactive enough. 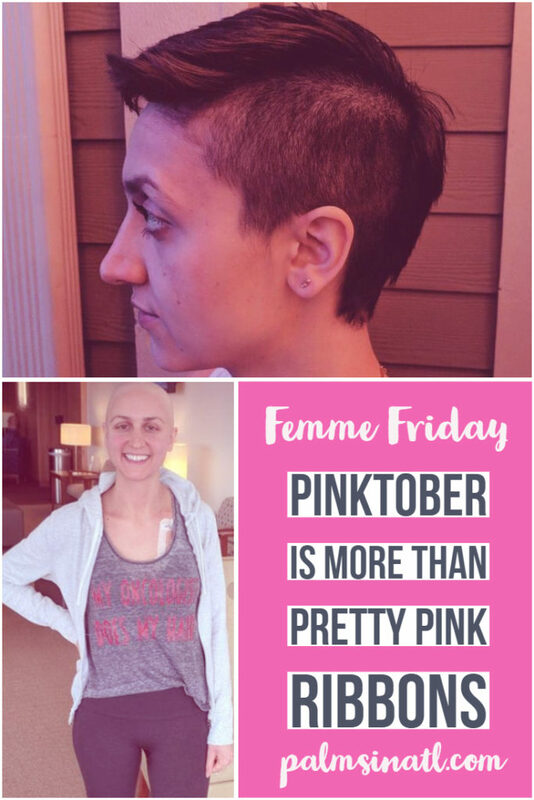 I had first-hand exposure: In 2017, I saw a high school friend who was 28 get diagnosed with breast cancer. I didn’t check myself. Also, I attended the funeral of my Farsi school teacher who died from breast cancer, but I still didn’t check myself. Not once in all of 2017. So here are my messages to all of you: Check your breasts every month, trust your gut if you do think something is wrong, and fight for yourself. Find your rescue radiologist, and don’t be stopped by the technicians who question why you need a second opinion. You’re your own best advocate. The scariest part of all of this is that I could still be walking around thinking I was cancer free. And so many young women do. What do I think of all the pink in October? As a patient, I feel very fortunate to have a cancer that’s so visible; a cancer that so many people know about, talk about, and recognize. But I think our focus needs to be not just on wearing pink. As a scientist, I believe that raising money for research should be the number one priority. And I’m writing today to convince you that you should feel the same. Research is what will advance detection and treatment and that is what will ultimately end cancer. Make your pink mean something by making sure your focus is on ending cancer.